Prosciutto di San Daniele (DOP) is an air-dried and matured ham with Denominazione di Origine Protetta (protected designation of origin or DOP) status awarded because its unique characteristics derive from a special geographical environment with important natural and human factors. San Daniele del Friuli is the loveliest municipality in central Friuli. Perching on a glacial hill beside the river Tagliamento at the foot of the Carnic Prealps, the town is unique for the way it has conserved its natural conditions. Its soil has a high hygroscopic capacity which means it functions as a permanent humidity drainage system. Complementing this are the warm breezes that waft up the Tagliamento river from the nearby Adriatic Sea to encounter the cooler winds from the Alps that are channelled through a long, narrow valley. 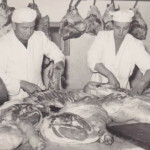 The resulting topoclimate is unique for its unfailing ventilation and constant, controlled humidity, making it ideal for the natural maturation of air-dried pig thighs, a feature acknowledged since ancient times. 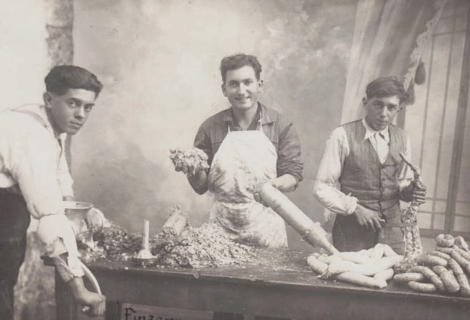 San Daniele del Friuli is where my grandfather, Giovanni Prolongo, was born into a family that had practised the pork butcher’s art for generations. 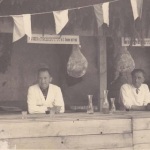 It was here that as a boy he learned the craft of prosciutto making at the Fioretto & Cozzi ham factory. 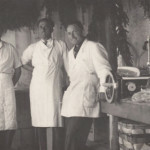 Giovanni’s keeness to learn more took him way from home to work for a time at the Salumificio Vismara in Brianza before he returned to San Daniele del Friuli and worked at the local branch of Prosciuttificio Vismara. 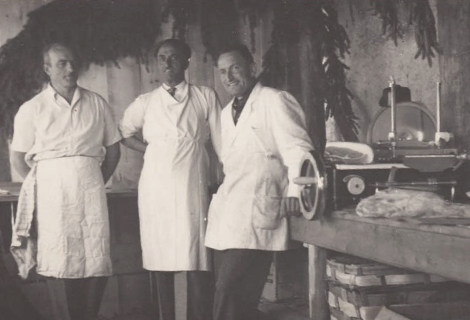 Thanks to the support of his wife Caterina Bortolotti, Giovanni was able to make his dream of running his own business come true in 1957. 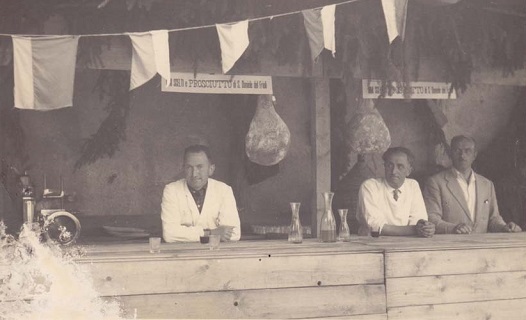 He set up Prosciuttificio Prolongo with what today we might call a “company vision”: to make top-quality prosciutto using traditional methods in step with the natural cycle of the seasons. 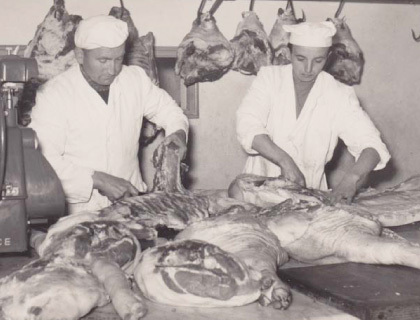 The Prosciuttificio Prolongo was one of the first enterprises to make Prosciutto di San Daniele as its sole activity. 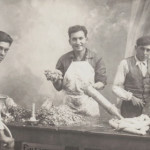 new customers and his growing enthusiasm prompted him to make further improvements to traditional prosciutto-making methods. In 1977, the business acquired the talents of my mother Lucia, a philosophy graduate with clear ideas about putting quality first in our business image, as well as in production. In 2000, it was my turn. I am Alessio, Lucio and Lucia’s eldest child. Since I was a little boy, I have been absorbing my parents’ passion for a business, a product and an initial vision they still feel so powerfully. Over the years, I have focused particularly on raw materials, working closely with suppliers to meticulously select first-quality pork thighs. In 2004, my mother Lucia passed away, leaving a huge gap in all our lives. Yet her presence is still palpable. She is still with us, reminding us of all the things she taught us and keeping alive the passionate spirit that has brought us where we are today, and to results we are proud of obtaining with the help of our dedicated collaborators. In 2011 it was my sister Arianna’s turn. With her languages degree and inquisitive mind, she is our greatest resource in tackling the challenges of new markets. What do we see in our future? Prosciuttificio Prolongo puts quality before quantity. Arianna and I will continue to lavish care, love and attention on our prosciutto, just as our grandparents and parents taught us. We will continue to develop new ideas while keeping a firm focus on tradition and on what we have learned.